The end result of our weeks filming with our Million Dollar Intern, Rich, is the range of luxury Lavender products that you can see here on the website. The week of filming was manic; film crew arriving in our kitchen around 7am, working through to 9 /10 pm in the evening. Task after task, challenge after challenge. During the first day of Rich’s under cover work placement I said to Anne the I thought the guy was pretty well wired and knowledgeable. The questions he asked and then his summation at the end of two days of our business, was right on the mark. This meant that when Rich revealed his true identity and his thoughts, it was an easy decision for the two of us to go along with his plans. Something we did whole heartedly. The fact that we have the only “Wood Fired Lavender Distillery” in the UK and are the only Lavender farm in the north of England to distil the 100% Pure Lavender Essential Oil does make us unique. It has been something that we have been under valuing over the last few years. We have improved our products formulation. We have refined our presentation. We have stepped up to the mark. 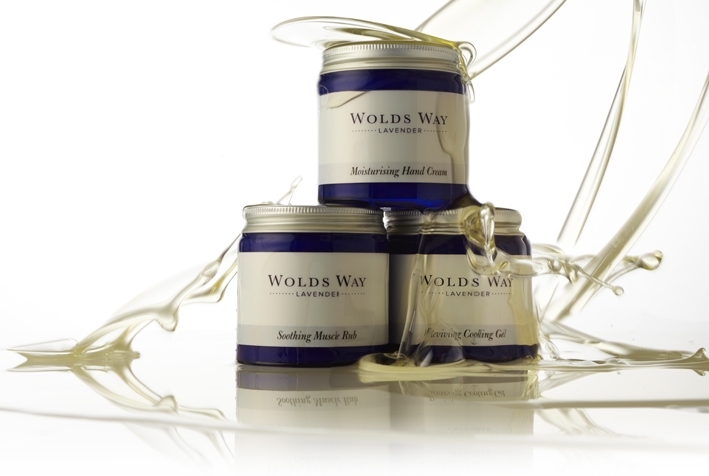 We are proud to bring you our new Wolds Way Lavender Collection! I have been attempting to re-order the Lavender Room Spray, but cannot find it listed anywhere on your website? I am sorry but the Room Spray is not on the website yet. We will not have it until early next year. We have had such a massive task in bringing the new branding together that we had to go with what we believed where the main products.